Clean Your Room. Here’s Why. 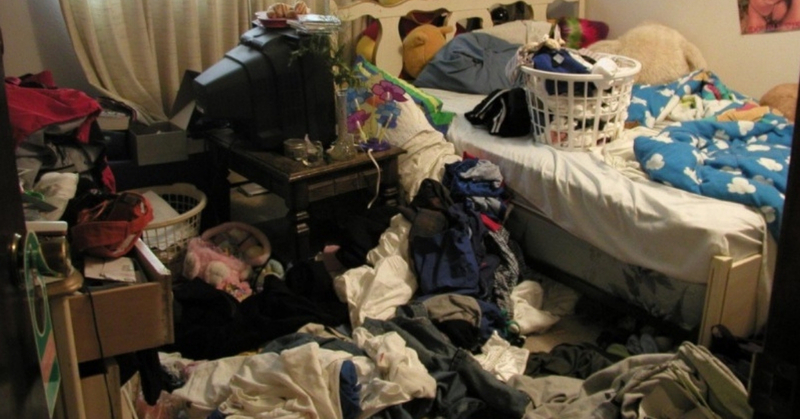 Do you have a messy room? Why? How do you feel at this moment? Looking around in your messy room. Its not just the room that is messy isn’t it? Sometimes, we get overwhelmed by life and we just let ourselves go while retreating into a corner or a safe space such as our tiny little comfy bedrooms. When everything that could go wrong WENT wrong, its okay to feel overwhelmed. Now take a look at your room, do you enjoy it in its current state? It could be better couldn’t it? Maybe a painting here, a fresh coat of paint there. Clean your room, it’s time to get back to it. Clean your room, because you deserve better. When we take a look at our rooms, its not just the physical room that we’re looking at. We’re also looking at a reflection of ourselves, as our rooms are where we truly show ourselves. Do we respect ourselves enough to keep the space clean? Or maybe we’re more laid back and its alright to just have a pile of clothes on the floor somewhere. But could that pile of clothes meant something more? A problem at school? A job promotion? Burnout from working too hard? Got rejected and cant deal; it’s a reflection of our mental state. A person who has gotten their life sorted, usually has a cleaner room. Not because they’re better or anything, but because to get your life in order, you require discipline. And those with dirty filthy rooms tend to lack discipline. It takes courage, determination and an insane amount of will power to clean your room THEN keep it clean for your whole life. That’s a lot of cleaning don’t you think? But take a journey with me and ask yourself, and I mean truthfully ask yourself. Don’t judge the answer, don’t analyse the answer but just listen to yourself. Are you happy with the state of your life? Are you happy with the state of your room? If you answer is no, buddy, it’s time to clean your room as it is the first step you’ll take to becoming a better person-a person that you want to be and a person that you can be proud of yourself. The trick here is small increments. Set realistic goals and deadlines and you’ll feel yourself happier as you achieve them, Say you really want to clean your room because it’s so messy right now AND you actually clean it. How would you feel? Great wouldn’t it? Allow yourself the chance to be honest with yourself, you know what you need. Find your way, start small and work your way up.